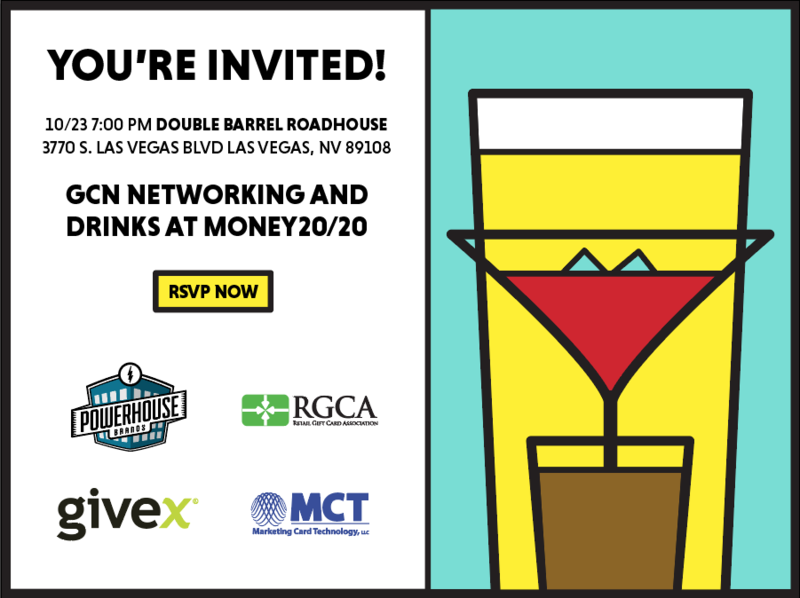 Are you going to be at Money20/20? Then you definitely don’t want to miss the go-to gift card event, developed by gift card geeks, for gift card geeks! Our goal is to make one of the largest events in the payments industry just a bit smaller, so you can get the networking time you need. And of course, it wouldn’t be a party without you there! There will be food, drinks, and some new surprises. Don’t miss out on your chance to connect with the coolest geeks we know. Sponsored by Givex, MCT, Powerhouse Brands, and The RGCA, this event is open to everyone in the gift card space, bring a friend! ​ Let us know you’ll be there so we can plan the beverages accordingly!